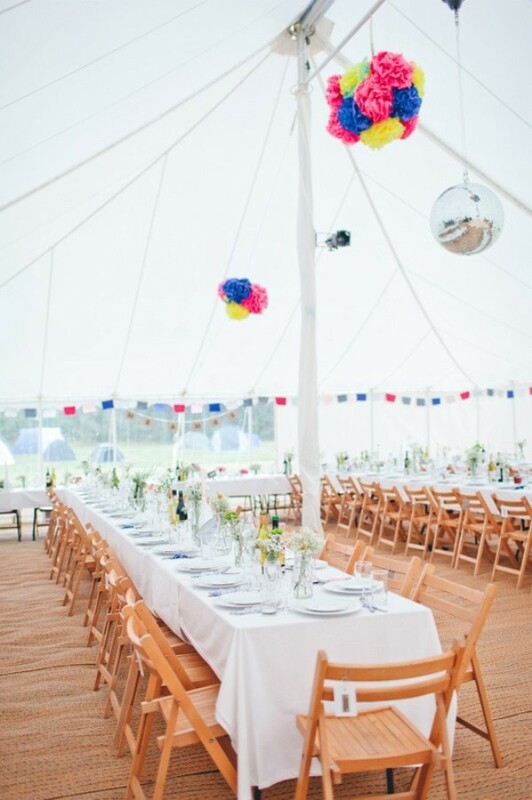 13 Reasons why you need to throw a WEDSTIVAL! 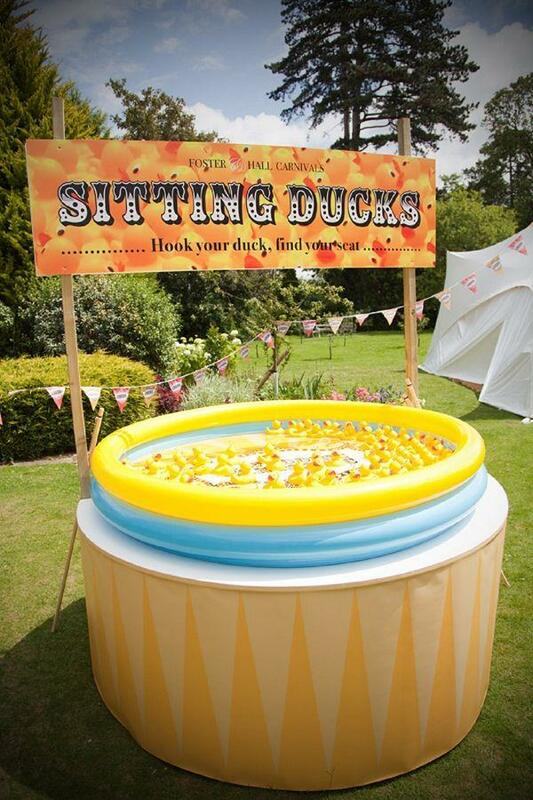 What do you do when you want to have a summer wedding, but still make the most of festival season? 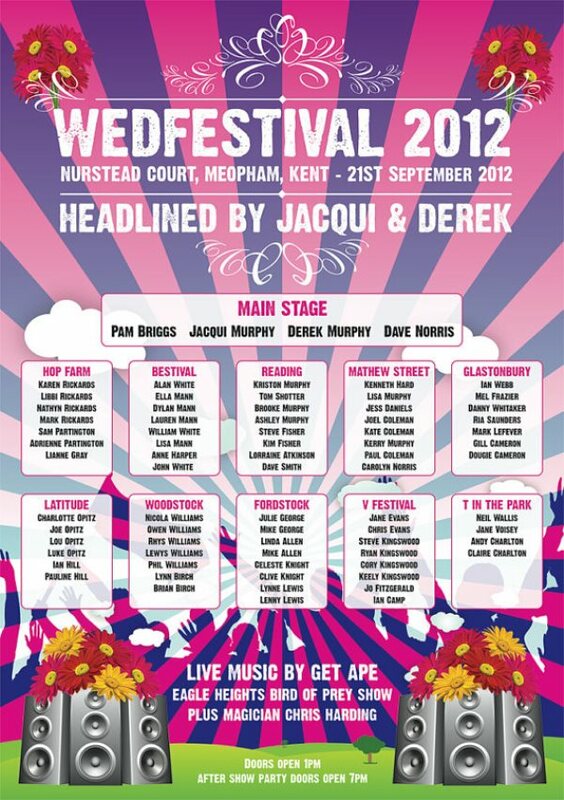 Throw a Wedstival of course! For four very special months of year, two of the world’s biggest seasons collide to wreck havoc across the schedules of every individual in the UK and Ireland- festival season and wedding season. From Glastonbury to Electric Picnic, people clamber to their computers months in advance to get their hands on coveted tickets to camp out and see their favourite superstars in action. They gear themselves up for a weekend of debauchery, lack of showers and start saving for the ultimate weather-proof tent. 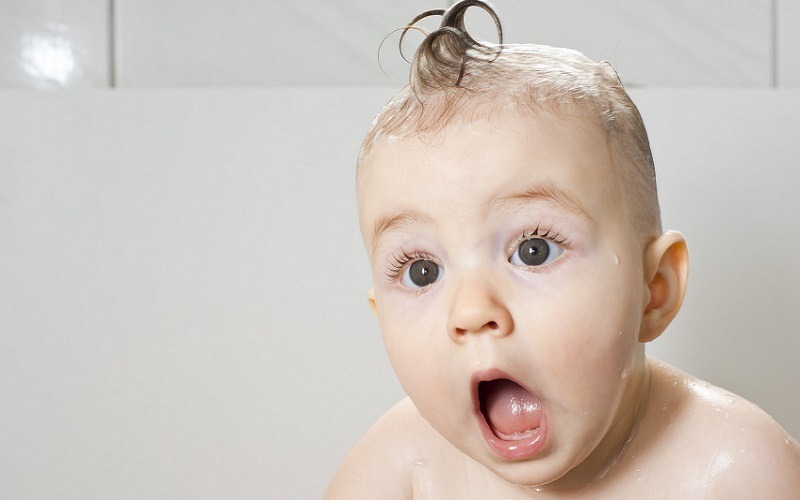 Then, the inevitable strikes and a ‘Save the Date’ lands on your doorstep for a wedding the exact same weekend as that festival you’ve spent years waiting for. Don’t be the couple who makes your friends choose. 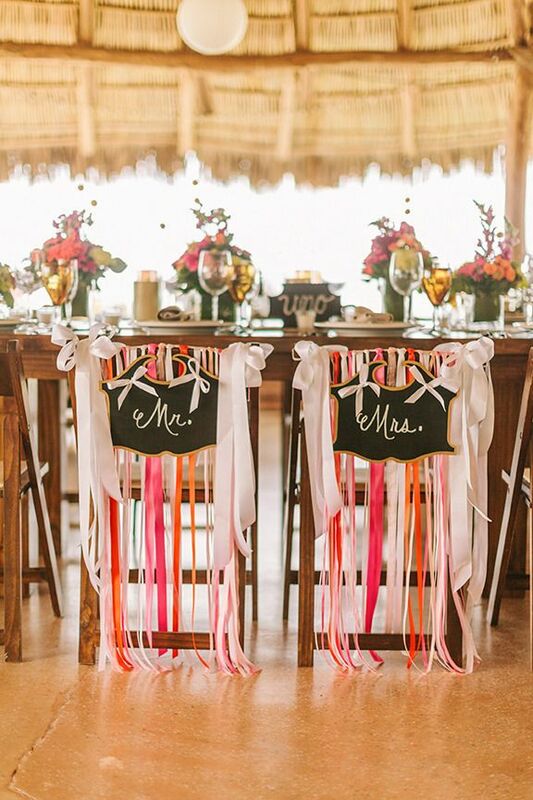 Instead, be the couple who throws them a colourful, flamboyant, festive, SUPER wedstival instead! 1. 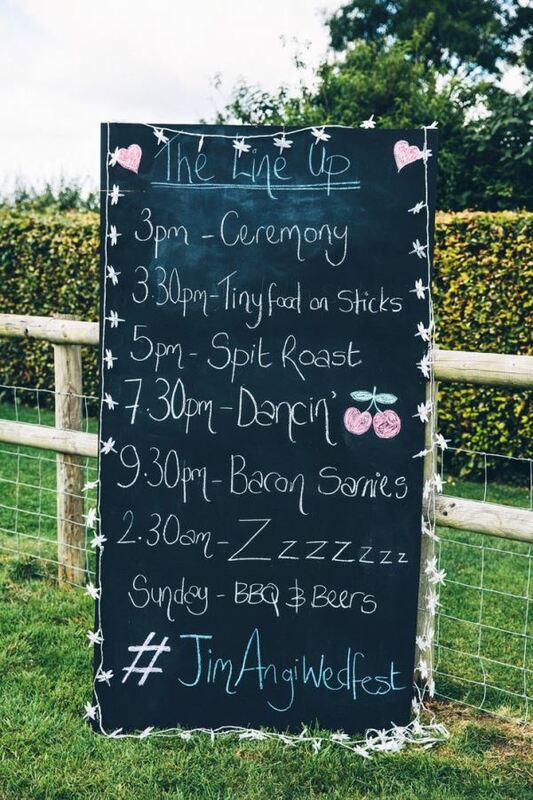 You can design a HUGE blackboard to inform your guests of all the awesome festival-related thing you’ve got planned for the wedding ahead. 2. 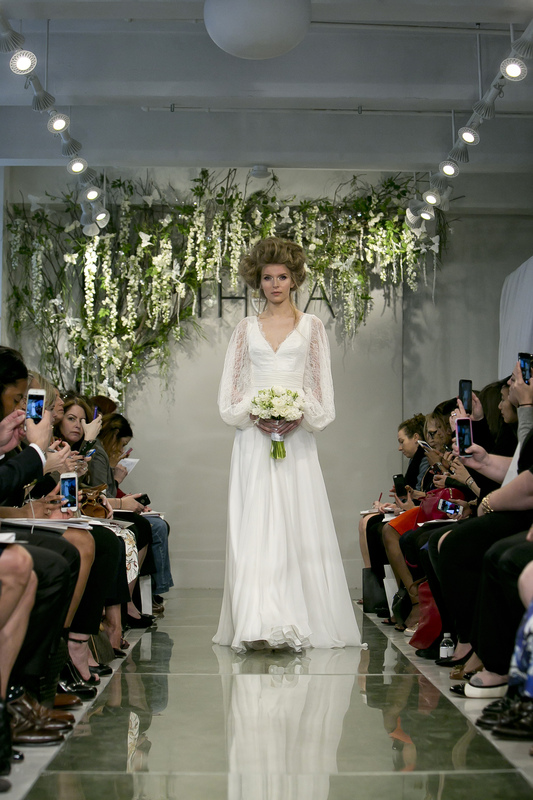 You can wear an ethereal, 70s-inspired gown reminiscent of Woodstock, and adorn it with gorgeous hand-picked flowers. The more rustic the better! 3. Your decor can be as colourful and homemade as you like! 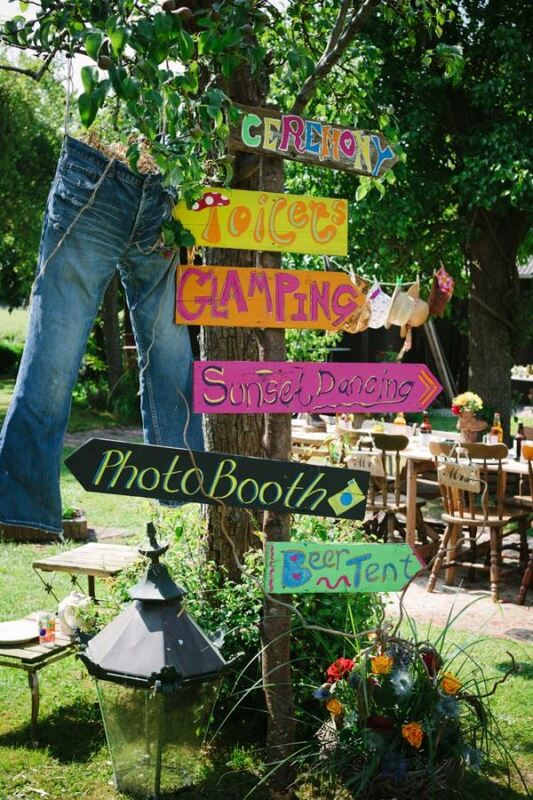 Think ribbons, sequins, hand-painted signs, flowers, and much more. 4. You can put bunting EVERYWHERE, and who doesn’t love bunting?! 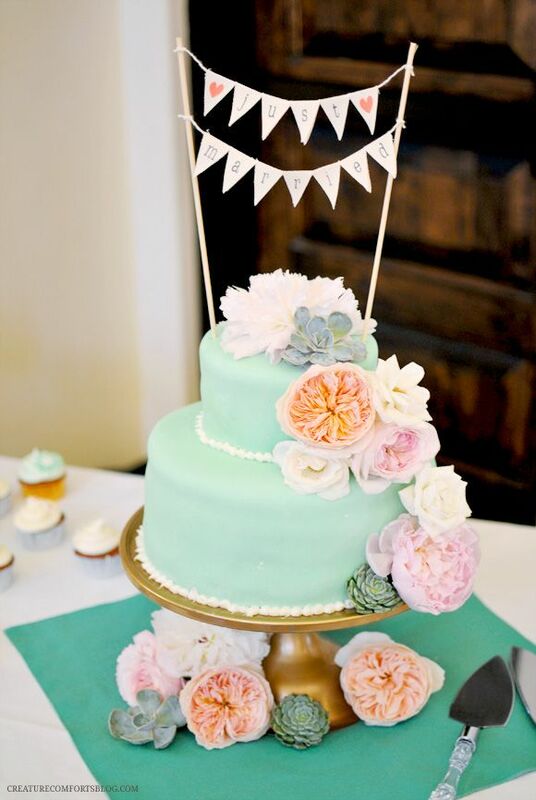 Cover all the necessary areas like walls, archways, and ceilings- then drape it in places you would least expect, like the top of your wedding cake or mini-bunting around glassware. 5. 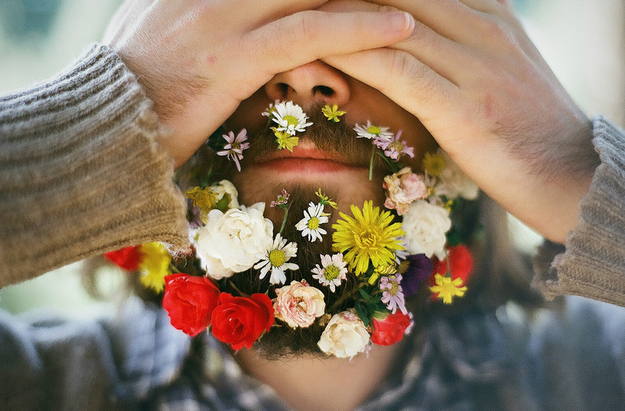 Your groom can don an impressive flower beard and not look completely out of place. 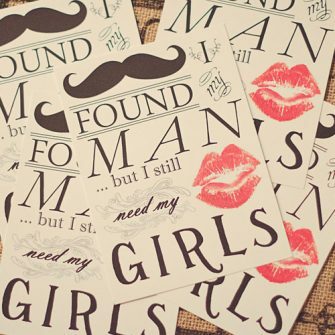 A man who can pull this off is DEFINITELY confident in his masculinity. 6. 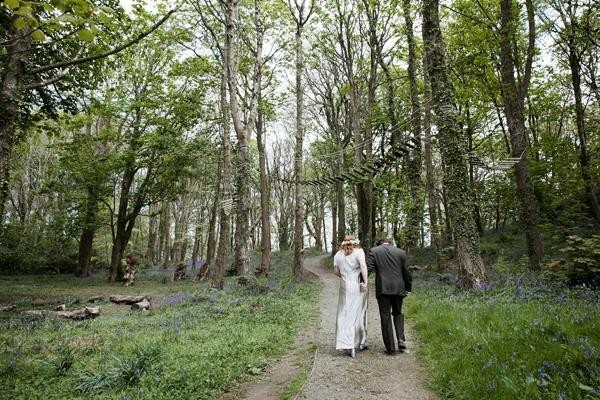 Your wedding photos can take place in a completely natural surrounding, such as a forest, park or field. 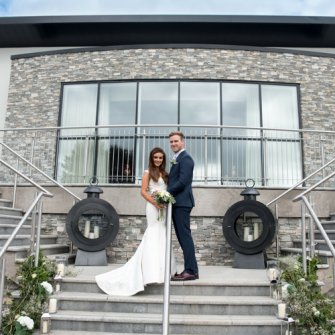 It doesn’t matter if its a bright or dull day, either lighting works for festival-inspired wedding shots. 7. 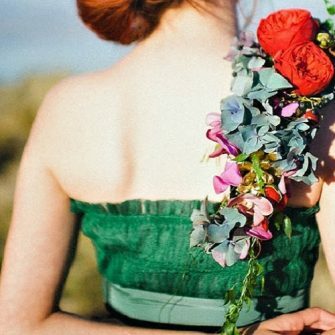 You can rock some seriously amazing messy hair, braid and flower combos. 8. Your guests will feel right at home eating picnic-style, at big, family-friendly benches. 9. 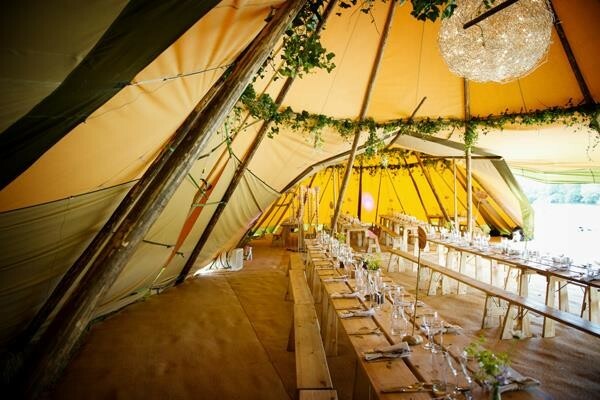 You can have your reception in a tent! 10. 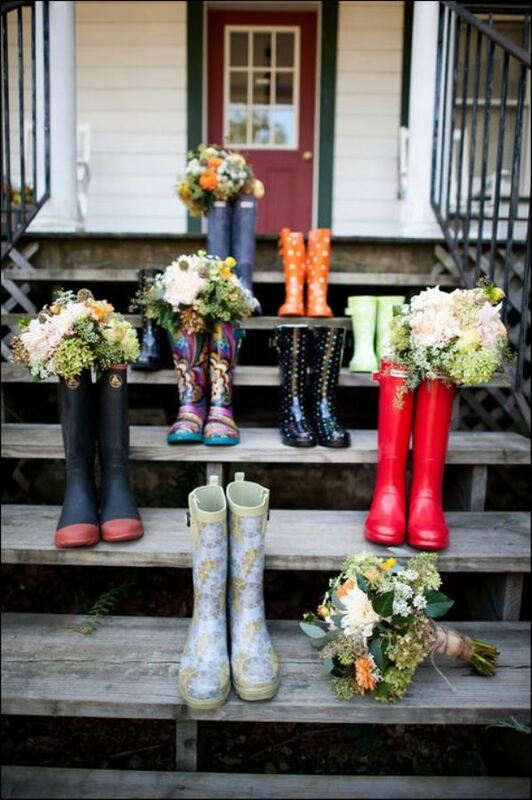 Not only can you wear wedding wellies, but you can gift them to your ENTIRE bridal party as well! 11. Fairground rides aren’t just welcome… they’re encouraged! 12. 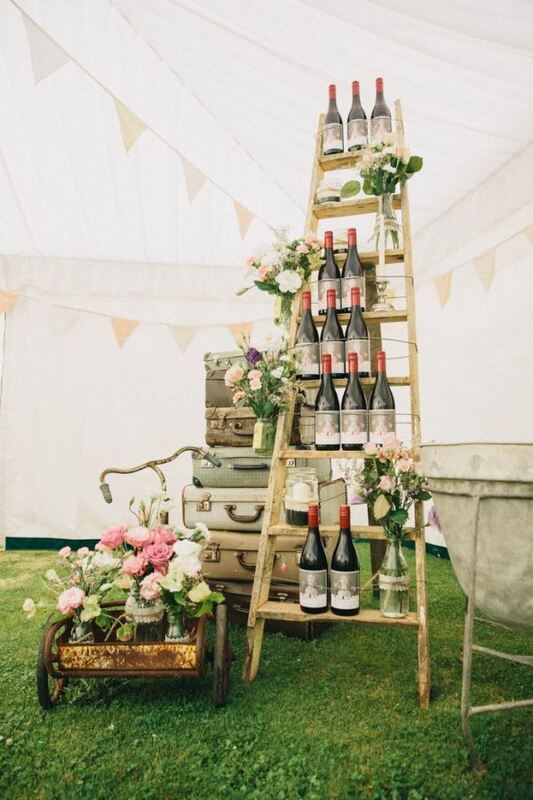 Your bars are an opportunity to be as creative as you want- and can be rustic, playful or unusual. 13. A typical wedstival doesn’t last one day… it lasts three! Who doesn’t want to carry on festivities straight from Friday to Sunday? !